Camp Gan Israel is part of the largest and fastest growing network of Jewish camps in the world. Camp Gan Israel is sports, games, trips, adventures, arts and crafts and Jewish heritage like your kids have never known, in a warm and lively atmosphere. Gan Israel campers are imbued with a deep sense of pride in their Jewish heritage and a love for the land of Israel. Judaic themes will be taught through exciting activities, stories, songs, games and contests, which are part of the unique Gan Israel experience. We have brought it all here. Allow your child to experience the magic. 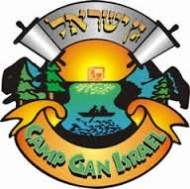 This summer, enroll your child in Camp Gan Israel. To receive a registration form please call 661-834-1512 or e-mail us at Rabbi@chabadofbakersfield.com for more information.